Protein assays, most notably quantitation or estimation assays, for determining protein concentration are one of the most widely used methods in life science research. Protein estimation of protein concentration is necessary in protein purification, electrophoresis, cell biology, molecular biology, and other research applications. We offer a unique selection of protein estimation assays that are improvements on the Biuret, Lowry, BCA and Bradford assays. 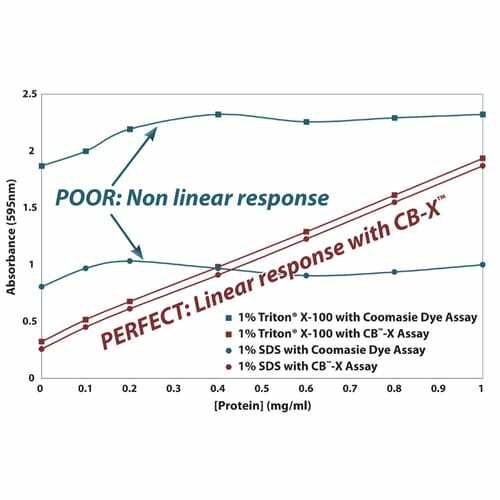 Each assay has its own benefits, however the NI™ (Non-Interfering™) Protein Assay and CB X™ Protein Assay overcome all interfering agents. Although there are a wide variety of protein assays available, none of the assays can be used without first considering their suitability for the application. 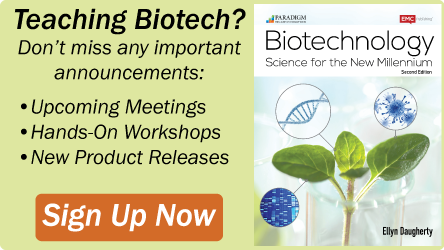 Each method has its own advantages and limitations and often it is necessary to obtain more than one type of protein assay for research applications.For additional information on protein assays, read the Protein Assays Handbook & Selection Guide. 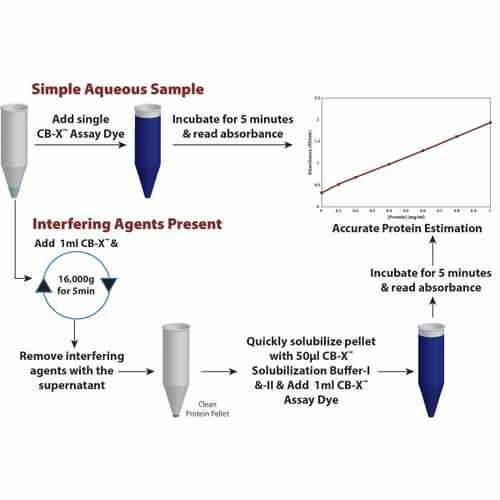 The Bicinchoninic Acid (BCA) Protein Assay, also known as the Smith Assay, is a highly sensitive colorimetric assay that is compatible with detergent solubilized protein solutions. 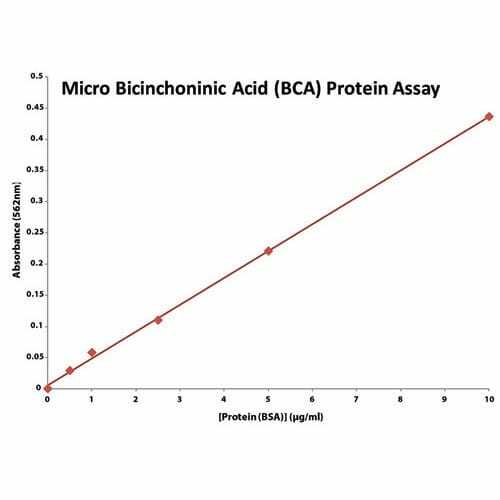 The Bicinchoninic Acid (BCA) Protein Assay primarily relies on two reactions. Firstly, the peptide bonds in th.. The Bicinchoninic Acid (BCA) Protein Assay is a highly sensitive colorimetric assay that is compatible with detergent solubilized protein solutions, however is dramatically affected by the presence of reducing agents, including DTT, ß-mercaptoethanol and TCEP. The Bicinchoninic ..
Protocols.io provides an interactive version of this protocol where you can discover and share optimizations with the research community. Protein assays are routinely used in many research fields to estimate proteins in a vast array of buffers and conditions. A maj..
An improved Coomassie Dye based protein assay based on the Bradford Protein Assay (1). 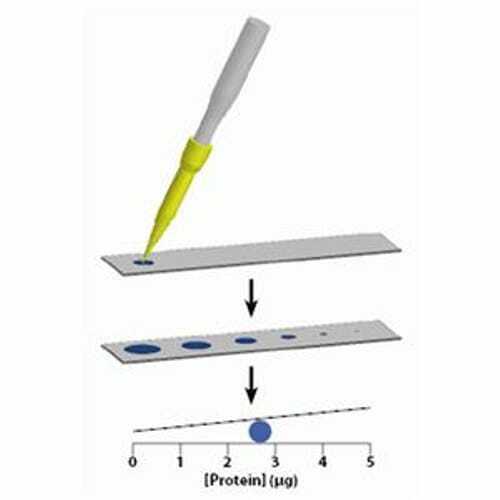 This assay is suitable for the simple and rapid estimation of protein concentration. This assay is based on a single Coomassie dye based reagent. The binding of protein to the dye results in a change of color from..
G-Biosciences’ CL (Compatible Lowry) Protein Assay is based on the widely cited protein assay by Lowry et. al. (1951). 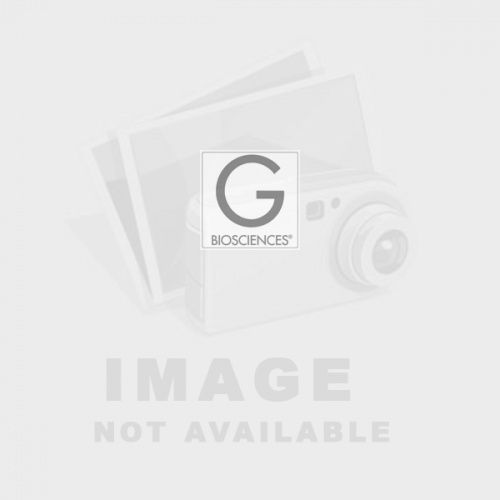 The CL Protein Assay improves upon the traditional Lowry method to be compatible with common laboratory agents known to interfere with Lowry protein assays such as reducing ag.. 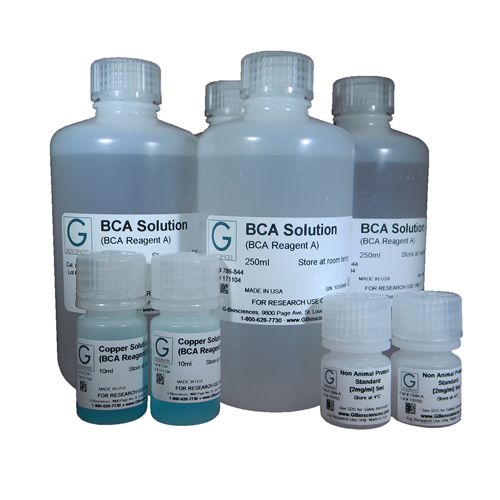 The Micro Bicinchoninic Acid (BCA) Protein Assay is a highly sensitive colorimetric assay that is compatible with detergent solubilized protein solutions. 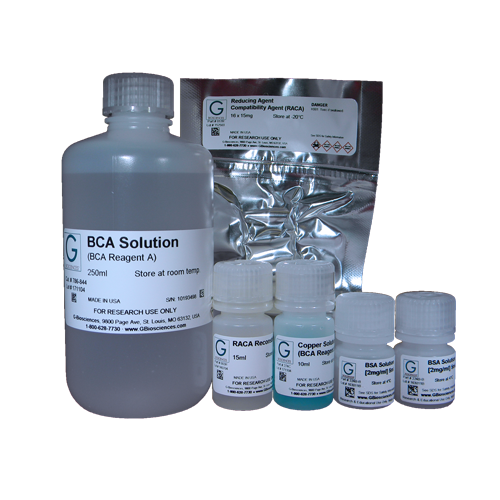 This modification of the Bicinchoninic Acid (BCA) Protein Assay is suitable for dilute protein samples (0.5-20µg/ml). 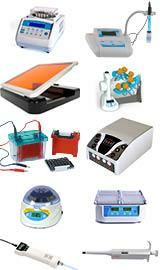 The Micro BC..
G-Biosciences’ ML (Modified Lowry) Protein Assay is based on the widely cited protein assay by Lowry et. al. (1951). The ML Protein Assay is compatible with a wide variety of detergents used in protein research in addition to other common reagents such as EDTA and Tris (see tables 1 and 2.. 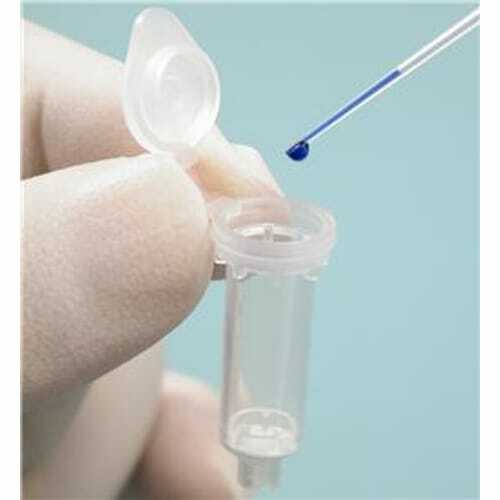 Rapidly, mix 1µl protein sample with the supplied Dilution Buffer and apply 1µl of the solution to the test strip by point-of-contact capillary action. 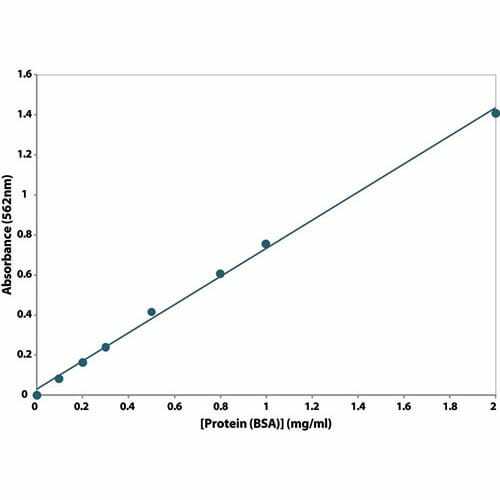 Under the assay's specific buffer conditions the protein enters into the matrix of the test strip, binds and saturates as protein di..
Protn-Latex™ is a simple and reliable method for estimation of protein contamination in latex. Protein estimation can be performed either on the production site or in any laboratory with a minimum of skill or instrumentation. 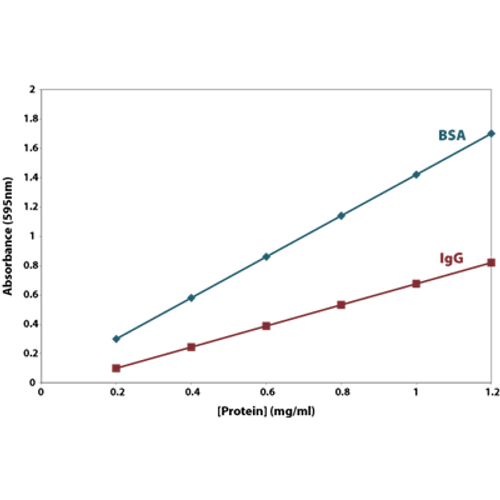 The test detects as low as 25-40µg protein /gm latex (or 25-50..
RED 660™ Protein Assay is a single reagent colorimetric assay that outperforms commercial colorimetric assays, including Bradford and improved Coomassie/ Bradford assays. 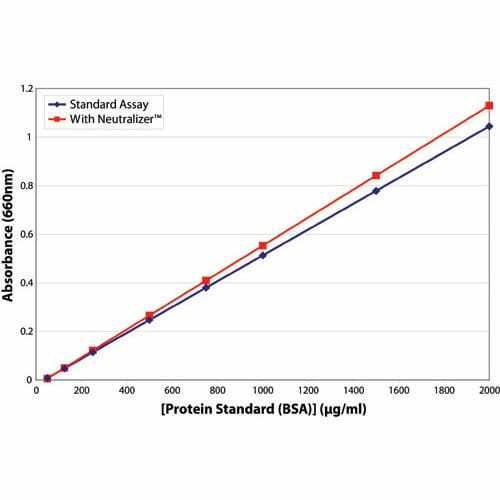 RED 660™ Protein Assay offers greater linearity, greater color stability, and greater compatibility with deterg..
A novel protein assay that is suitable for single sample or high throughput protein estimation. 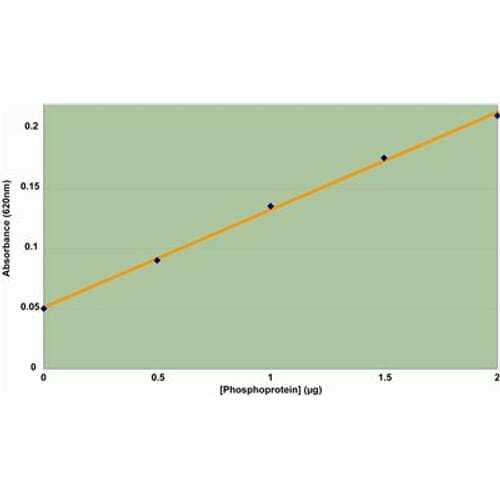 The SPN™ and SPN™-htp protein assays are rapid assays that are suitable for as little as 0.5µg protein and are resistant to interference from common laboratory agents. The assays are exc..